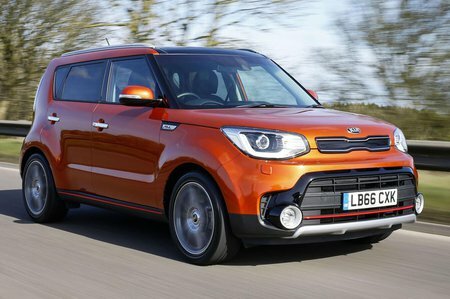 Kia Soul 1.6T GDi DCT Review and Deals 2019 | What Car? This engine is available only in the top-end Sport trim and with a seven-speed dual-clutch automatic gearbox. With 201bhp not only does it have a lot more zip than the 130bhp 1.6 petrol, but also better low-end grunt for easier progress when you just want to relax using the higher gears only. Don’t think of it as a hot-hatch rival though, because the handling is no better than the standard models, and the occasionally jerky seven-speed auto ‘box can be frustrating. Fuel consumption is pretty poor, too.